Douglas W. Ellsworth, age 53, a resident of Northville, passed away peacefully at home with his loving family by his side following a long illness. He was born in Gloversville, New York, on January 21, 1966, the son of Gordon and Dorothy Stuart Ellsworth. He was a graduate of Northville Central School and was employed as a heavy equipment operator for the town of Northampton Highway Department. He also owned and operated his landscape business DE Enterprise in Northville. 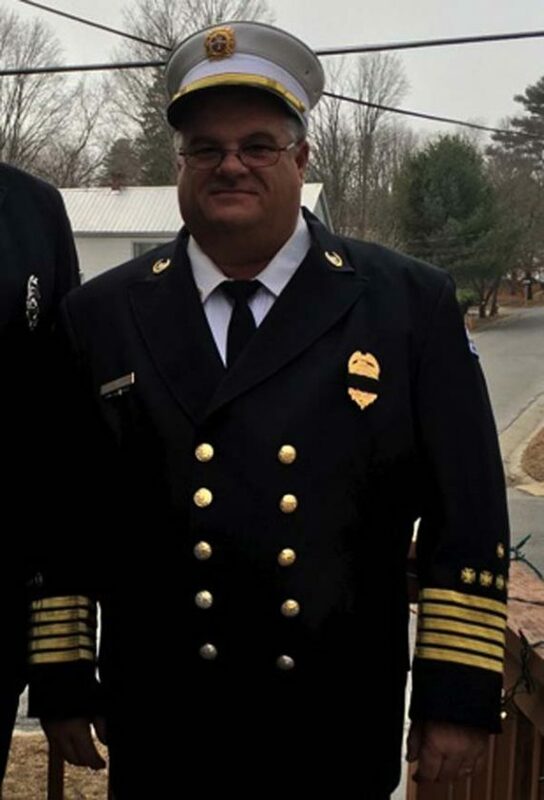 He was a member of the Northville Fire Department and former chief. He was also a member of the Northampton Ambulance Squad. Survivors include his wife, Penny Whitman Ellsworth of Northville, whom he married on June 15, 1991; two daughters, Alicia Baker (Jason) of Northville and Allison Ellsworth (Greg Bedell) of Northville; his father, Gordon “Corky” Ellsworth of Northville; siblings, Bruce Ellsworth (Debbie) of Northville, Gregory Ellsworth (Stephanie) of Northville, Donna Wood (John) of Northville, Beverly Shearer of Florida, Diane Fifield of Northville and Susan Browne (Scott) of Northville. One granddaughter, Kaylee Baker; and several nieces, nephews and cousins also survive. He was predeceased by his mother, Dorothy Ellsworth; and his brother, Paul Ellsworth. Family and friends are invited to visitation on Monday, April 15, 2019, at the Northville Funeral Home from 4 to 6 p.m. where a funeral service will be held on Tuesday, April 16, 2019, at 11 a.m. Burial will follow in Prospect Hill Cemetery, Northville. Memorial contributions may be made to Mt. Valley Hospice, 108 Steele Ave., Gloversville, NY 12078. Condolences may be made to the family online at www.northvillefuneralservice.com.